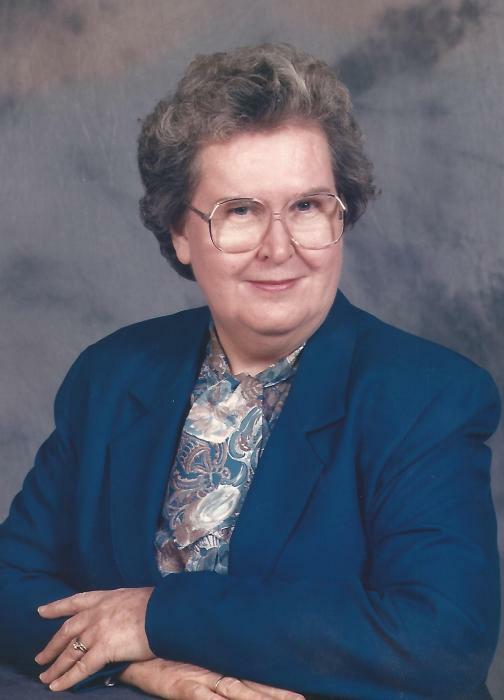 Clara Vance Robinson, widow of Calvin E. Robinson, died Wednesday, February 6, 2019 after an extended illness. She served 20 years in the Fairfield County Treasurer’s office, the final eight years as Treasurer. Mrs. Robinson is survived by three sons, Robert B. “Rusty” Robinson, wife Elizabeth and children Brandi and Matthew of Olathe, KS; Stephen R. Robinson of Winnsboro; Patrick A. “Andy” Robinson, children Logan and Erica of Winnsboro; and deceased son, Thomas E. Robinson, wife Gail and son, Thomas G. “Rett”; and six great grandchildren. Funeral services will be held at 2 o’clock PM Saturday, February 9, 2019 at Stephen Greene Baptist Church conducted by Reverend Ethan Brown. Burial will follow in Stephen Greene Memorial Gardens. The family will receive friends one hour before the service in the church. In lieu of flowers, memorials may be made to an organization of one’s choice.